Last month, I wrote about early maps of the Grand Canyon area and their development through the first half of the twentieth century. Recently, a modern map of Grand Canyon caught my attention. It appeared on a CBS This Morning segment that was passed around Facebook. It’s a nice map, but that’s not why I noticed it. Something’s wrong — can you tell what it is? 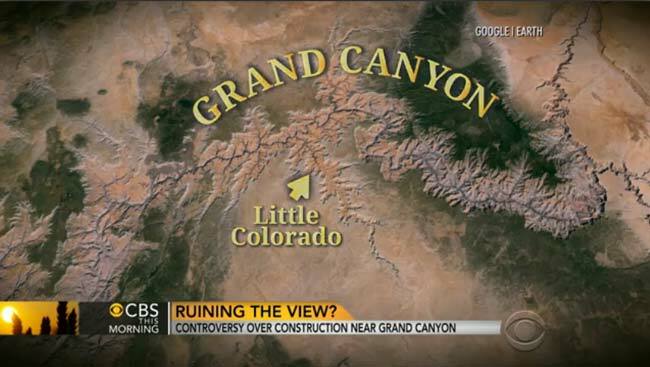 Screen capture from animated map appearing on CBS This Morning. Someone has mistaken Havasu Canyon for the Little Colorado River. I’ve taken the liberty of correcting their error below. The Little Colorado River, which drains the Painted Desert is off to the right. Most of the river is not shown. Havasu Canyon is visible near the center of the map. 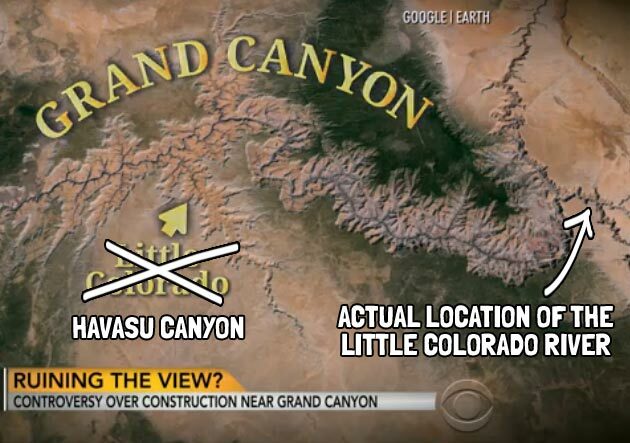 Out of fairness to CBS, I should mention that they’re known for sitcoms and news broadcasts, not cartography. And it’s not nearly as severe an error as the “Buenaventura River,” a confused version of the Green River that was once believed to run from Utah to California’s Pacific Coast. In reality, the Green River joins the Colorado River upstream of Grand Canyon.